The following ginger ale mocktail recipes are vintage in origin and very easy to make. They come from the days of the old fashioned pharmacy soda fountain and call for ginger ale and natural fruit flavors. If you're hunting for fancy non-alcoholic beverages to serve at a special occasion or to enjoy as refreshing thirst quenchers, then you'll love these. You will love the refreshingly fizzy taste of these non alcoholic ginger ale beverages that are perfect for serving to persons of any age on any occasion. 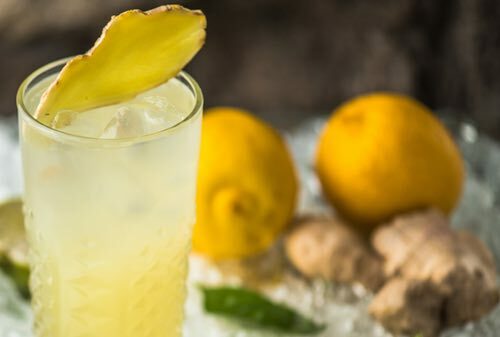 Dissolve a teaspoonful of powdered sugar in a small quantity of carbonated water, add a large slice of pineapple, nearly fill the glass with shaved ice, and then add enough ginger ale to fill the glass. Decorate with fruit and serve with straws. Some soda dispensers use ginger ale syrup instead of ginger ale, then adding a little carbonated water to fill the glass. Price 10 cents for 10 ounces. 4 drams (3 teaspoons) lemon syrup, 2 drams (1-1/2 teaspoons) lemon juice, ginger ale to fill an 8-ounce glass. Charge 10 cents for eight ounces. 1-1/2 ounces ginger ale syrup, 1/2 ounce orange syrup, 1/2 glass shaved ice, pineapple slice. With ingredients in glass, fill glass with carbonated water and stir with spoon. Charge 10 cents for 10 ounces. About 6-1/2 ounces carbonated water, 1-1/2 ounces ginger ale syrup. Mix and add a small spoonful powdered sugar. 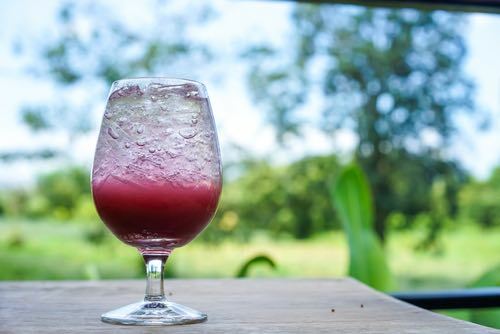 Take 1 ounce of any good brand grape juice, a little shaved ice, place in an 8-ounce glass and fill with ginger ale. This is a 10 cent drink.